During April 28 and May 2, Prof. Dr. S. Joseph Wright and Dr. Helene Muller-Landau from Smithsonian Tropical Research Institute visited XTBG on invitation. They had academic exchanges and field studies with XTBG scientific personnel. After two lectures entitled “Plant Functional Traits” and “Forest Carbon Cycles” on April 28, Dr. S. Joseph Wright and Dr. Helene Muller-Landau made field investigation tours. Having visited the permanent plot for tropical seasonal rainforest, monitoring facilities, the 20-ha tropical rainforest dynamics plot and Lab for seed treatment, they put forward some constructive suggestions on seed treatment, tackling difficulties in seed identification, etc. Dr. Wright gave a positive recognition of the monitoring work on seed dispersal and seedling recruitment in the 20-ha plot. Dr. S. Joseph Wright and Dr. Helene Muller-Landau were deeply attracted by the rich species diversity. They said that the unique tropical rainforest and diverse species dynamics in Xishuangbanna will arouse concerns of more and more biologists and ecologists all over the world. Prof. S. Joseph Wright, a world-renown tropical biologist, has dedicated himself to studies on tropical rainforest ecology for many years. He has publications in such prestigious journals as Science and Nature. 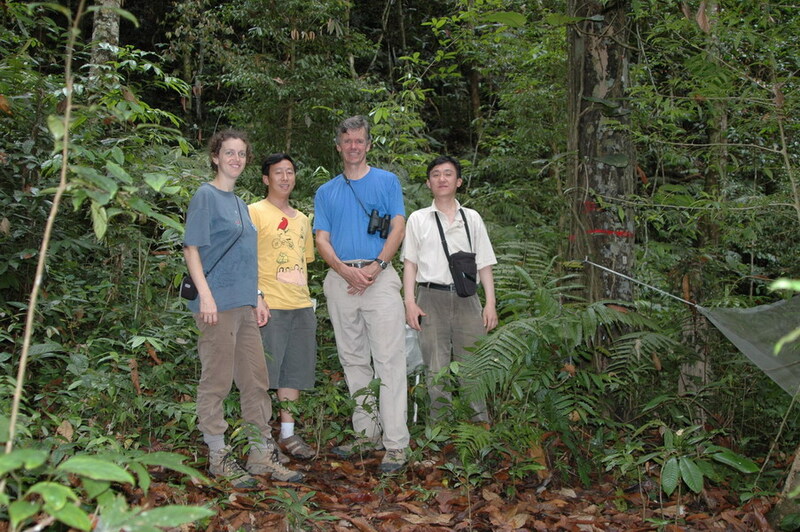 He used to be chairman of Association for Tropical Biology and Conservation (ATBC) during 1998 and 2003. He is now associate editor-in-chief of Biotropica.